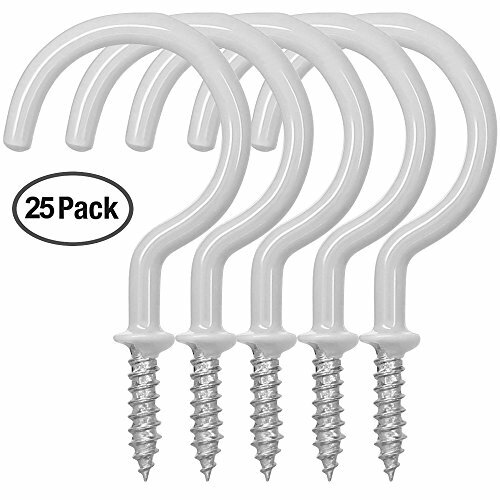 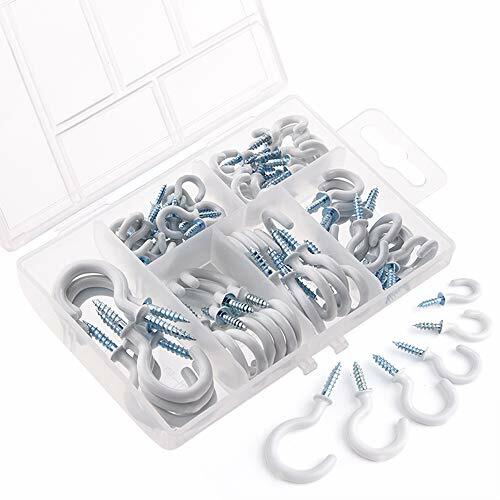 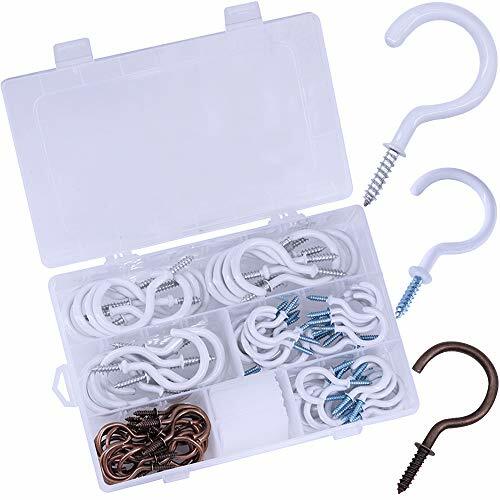 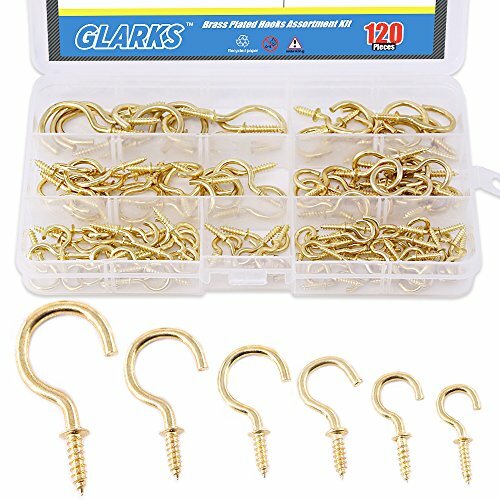 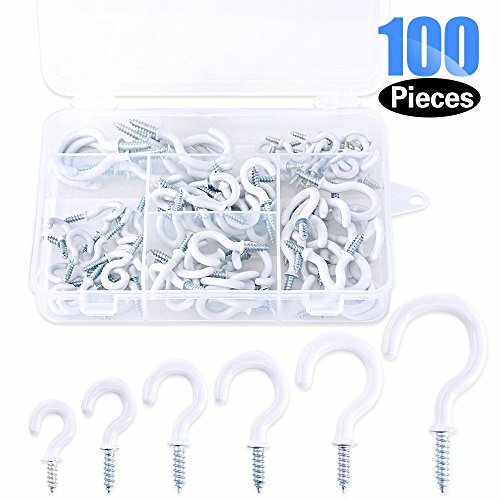 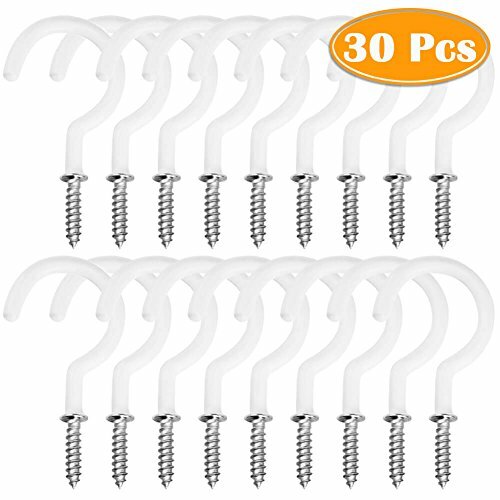 Glarks brass plated screw-in cup hooks lag thread handy hanging hooks assortment set Specification: product type: Cup hooks Meterial: Brass plated carbon steel Color: Golden Size: 1/2'', 5/8'', 3/4'', 7/8'', 1'', 1-1/4'' Feature: -- glossy surface without burr, ust resistant and high corrosion resistance, durable for long time use -- sharp eye point bites into wood easily and quickly, collars are tightly fitted -- It's long thread screw for extra holding power, perfect for hanging objects from walls -- Perfect for hanging various item, ideal for lights, curtains, ropes, chains, mugs, feeders, planters , kitchen towels, and more Packge include: 1/2'' ---------- 30pcs 5/8'' ---------- 30pcs 3/4'' ---------- 20pcs 7/8'' ---------- 20pcs 1'' ------------ 10pcs 1-1/4'' ------- 10pcs Total: 120pcs Note: This item has sharp points, keep it away from children and babies. 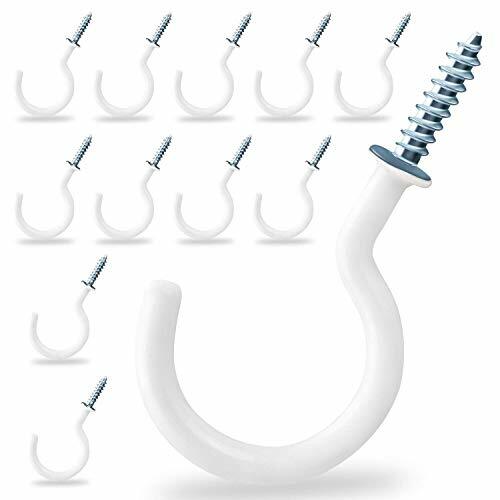 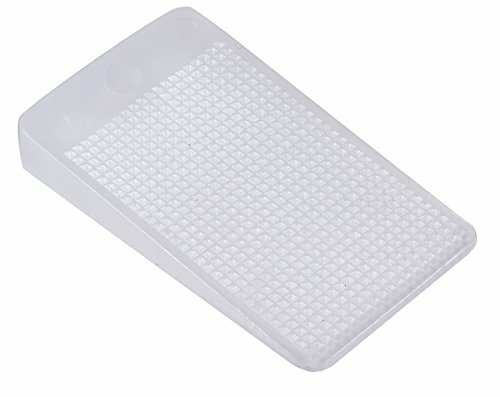 While Pre-drilling is not required, it is recommended for best results. 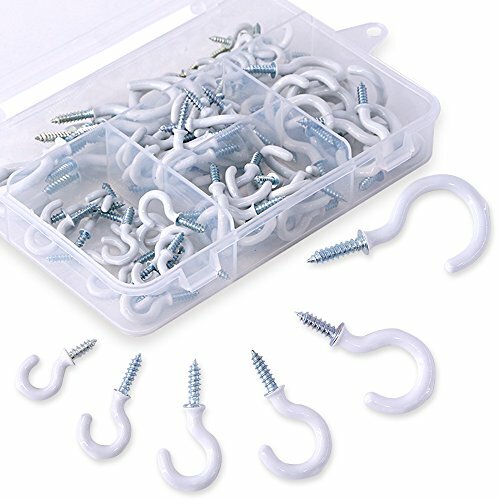 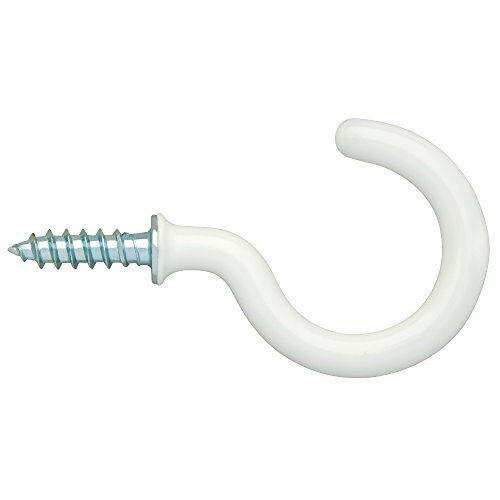 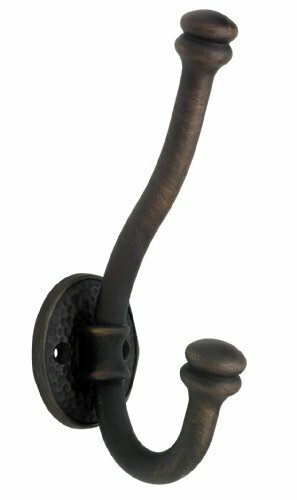 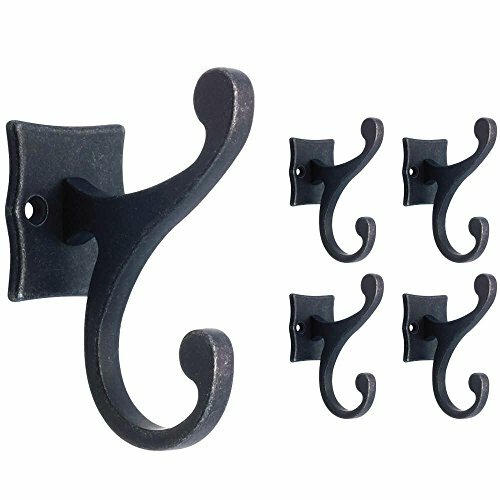 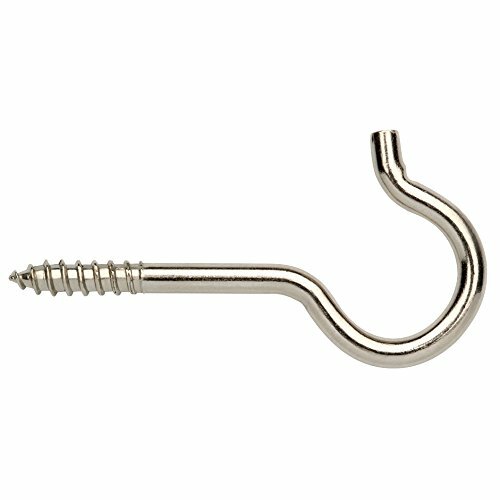 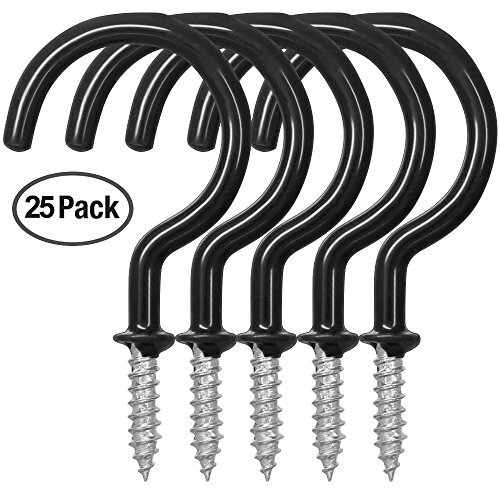 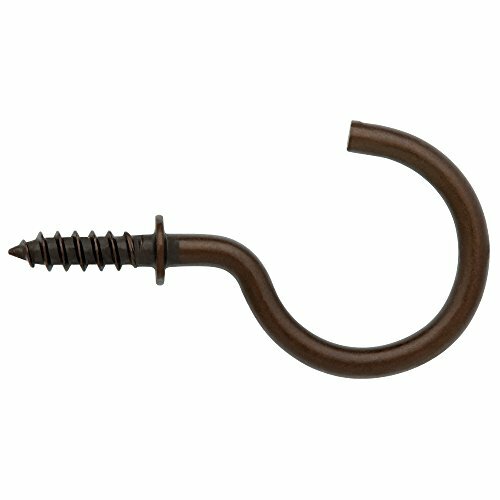 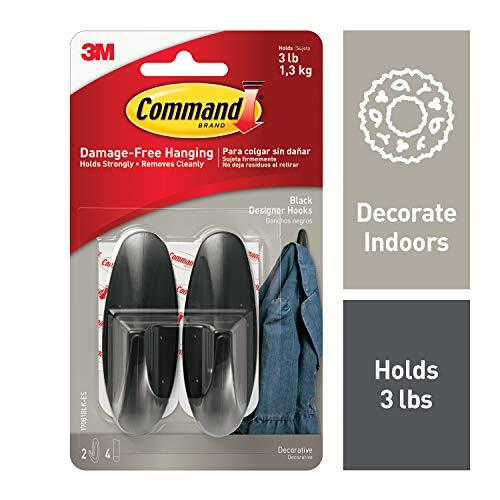 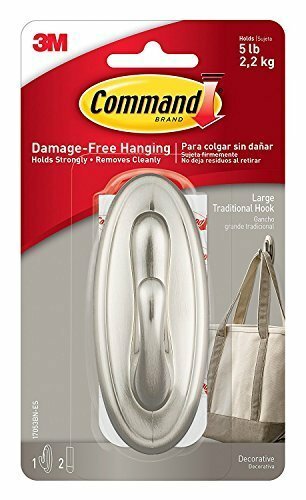 Heavy-duty hooks mount to virtually any hard or textured flat surface and securely hold all your personal items.